Now comprising over 150 employees and structural advisors, EUTOP has been acting as a structural process partner since 1990, supporting the work of private companies, associations and organisations at the institutions of the European Union and selected EU member states. EUTOP is a special service provider for its clients and bundles various competences EU-wide. EUTOP provides the process structure-, perspective change - and process support competences which are now, additionally to the client's content competence, essential for successful lobbying. EUTOP has been investing in building up these specialities since 1990. To expand our position in the market, we will further extend and deepen our core company characteristics across the EU in the coming years. From the very beginning, compliance and integrity have been the essential founding pillars of our approach to sustainable company management. That is why many corporations, associations and organisations from both EU member states and many political and business centres worldwide trust in the quality of the services we provide. They particularly value the enduring, long-term and structural nature of their cooperation with EUTOP. Among others, long-standing clients of ours include numerous EURO STOXX, DAX and MDAX corporations as well as European subsidiaries of companies listed in the Dow Jones index. In the EU, the basic framework of decision-making has been completely transformed, most recently following the adoption of the Lisbon Treaty. Prompted by a leap in the complexity of the European decision-making processes in an increasingly heterogeneous environment, we are experiencing a fundamental shift – a strong growth in the importance of the “procedural” in politics as opposed to “content-based arguments”. Whilst content and opinions are of course necessary in complex political processes, for them to be accepted, it is crucially important to communicate them from the right person to the right addressee, at the right time and place, in the right manner, and to have detailed knowledge of the goals, interests and mind-sets of the decision-makers, and of both formal and informal decision-making procedures. These developments also signify crucial changes in the prerequisites for successful communication between politics and business: the European decision-making structures have become increasingly impenetrable to individual companies. We fully take account of all European decision-making structures and processes – with all their economic, cultural and political diversity. Since our foundation in 1990, EUTOP has nurtured diverse contacts with legislative and executive decision-makers in all member states. In this way, we effectively and efficiently support our clients in presenting their cases within the decision-making processes in Brussels and selected member states of the EU. with the Treaty of Lisbon, the EU became de facto a state territory stretching from Portugal to Finland and from Ireland to Cyprus? Under these conditions, it is the natural goal of EU member states, EU regions, companies, associations and organisations, in the context of the legislative and executive agenda of the EU and its member states, to strive to achieve competitive advantages, prevent competitive disadvantages and avoid technical errors in representing their interests. However, successful lobbying presupposes the ability to solve problems. This includes content competence – i.e. strength of arguments, and, on the other hand, process competence, i.e. the knowledge of the processes and decision-making rules. Also crucial is maintaining the necessary space, human resources and organisational capacities, in addition to an EU-wide network across institutions, fractions and member states. In a simple decision-making system, content competence is more important than process competence. In the past, it was therefore often sufficient if the problem was dealt with by the “classic instrument” of clients interest representation, with their content competence. … with the Treaty of Lisbon, the former co-decision procedure was elevated to become the standard procedure (“ordinary legislative procedure”)? This procedure involves three EU institutions: the Commission, the Parliament and the Council. In these, majorities are formed across all member states and fractions. Therein lies a fundamental difference from the legislative and executive decision-making procedures of the member states: there is no structural legislative majority with which the executive, with its “government majority”, can shape and implement legislative and executive agendas. The rivalry between government and opposition familiar from “classic” parliamentary democracies is unknown in the EU. … for the players on the “European Union stage” – EU member states, EU regions, companies, associations and organisations – this leads to the problem that the result of the decision-making processes becomes largely incalculable? Every legislative and executive project must be considered individually – at an EU level, there will no longer be “rigid content lines” in decision-making processes, and one or a small group of decision-makers. For the players at an EU level, this carries the risk of serious loss of influence, in view of the large number of legislative and executive acts. At an EU level, the framework conditions, e.g. of entrepreneurial actions, are decisively influenced by directives, regulations, white and green papers of the Commission, decisions in antitrust law and the law on state-aid, as well as guidelines, customs duties and many other executive and legislative measures. EUTOP counters the growing complexity in the EU decision-making structure with a unique formula for success and thus greatly multiplies the success of your lobbying. EU-wide maintenance of space, as well as human resources and organisational capacities (management competence), and production competence based on cross-institutional, cross-factional and cross-member state networks of own employees, structural advisors, structural cooperation partners and external networks. This results in a service that is a task force for the client – a task force for a crisis, service unit and insurance against unexpected changes in the legal and political framework. The customised, structural intermeshing of the client´s content competence and process structure competence is a significant success factor. EUTOP’s supporting pillars are compliance and exclusivity (“only one interest”), to ensure that EUTOP is permanently accepted as an independent intermediary by the clients, as well as by the legislature and executive. EUTOP’s compliance-management-system consists of legal compliance, financial compliance, tax compliance, an external data protection officer and the certification of all administrative tasks in accordance with ISO 9001 in the areas finance, accounting, personnel, legal and IT administration, corporate security and facility management. An interdisciplinary consideration of the problem from different angles with the goal of working out a successful solution (change in perspective from the individual perspective to a common interest perspective). This takes place in a procedure, which has been scientifically and empirically developed since 1990, and in which decision-theoretical, cultural, linguistic, inter-institutional, cross-member-state and party-political points of view are taken into account. For further information on the five phases of the perspective change, please visit the website of OnePager GmbH. In about 5 to 15 percent of all cases, the desired change in perspective is not possible, which de facto rules out successful lobbying. In such cases, EUTOP advises the client not to act. The advantage for the client consists in being able to choose alternative actions at an early stage and, in addition to avoiding unnecessary use of resources. However, if the change in perspective succeeds – which is the case in 85 to 95 per cent of all cases – the process support competence decides whether the goal is achieved. The employees and advisors of EUTOP must structurally and sustainably support all interfaces daily, so that the result of the OnePager®-Methodology can lead to the success of the specific lobbying project. Experience shows that large projects usually fail on minor details. Organisational faults or misunderstandings can no longer be tolerated in a complex decision-making system. The ongoing support of the client by EUTOP’s process support competence is another essential success factor, because, during a decision-making procedure in a complex system loyalties and coalitions can change at any time. The continual examination and co-ordination of all interfaces and the situational update of the OnePager® are therefore essential. EUTOP is present where the decisions are made: in Brussels, Frankfurt, Berlin, Paris, Madrid, Rome, London, Vienna, Budapest and Prague and, through a network of structural partners, in other member states also. 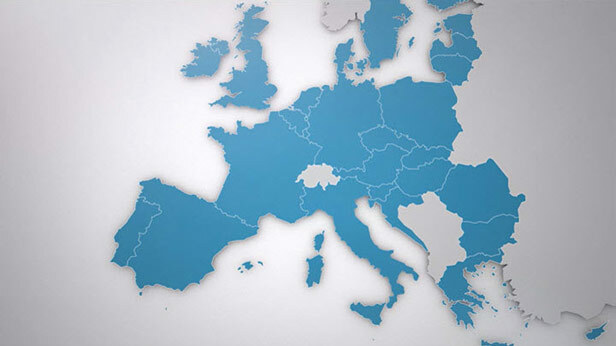 In addition, EUTOP maintains sales representations in the key political and financial centres of the world. 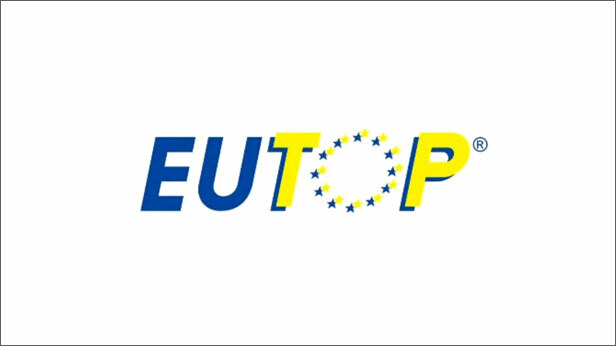 That makes EUTOP a structural service provider for its clients with interests in the European Union. Our Brussels office is situated close to the European Parliament and the European Commission. Since 1998, EUTOP Brussels SPRL has rented property at the Place du Luxembourg. With LUXARLON Real Estate SPRL, we acquired the entire building complex (Place du Luxembourg 14, Rue d’Arlon 15 and 17) with about 1,700 square meters of office space to accommodate the planned growth in the coming years. EUTOP Frankfurt Finance GmbH is based in Frankfurt's financial district. It deals with customer concerns with EU institutions, particularly at the European Central Bank and the European Financial Supervisory Authorities. EUTOP Berlin GmbH`s office is centrally located in the German capital on Unter den Linden and just a stone’s throw away from the Bundestag (the German Parliament) and various federal ministries. EUTOP Paris lies at the heart of the French capital, near the centres of power in French politics. EUTOP Madrid is located in one of the most prestigious districts of the Spanish capital and in direct proximity to other leading service providers. EUTOP Rome has a central location close to the most important Italian government buildings and is the point of contact for Italian clients with interests in the European Union and Germany. EUTOP London occupies a favourable site in the heart of Westminster and is the point of contact for clients from the UK and other English-speaking countries with interests in the European Union and Germany. EUTOP Vienna GmbH is based in the centre of the Austrian capital and is the point of contact for Austrian clients with interests in the European Union and Germany. EUTOP Budapest Kft. is located close to the pulsating administrative and financial centre in Pest and is the point of contact for Hungarian customers with European and German concerns. EUTOP Prague s.r.o. is conveniently located close to Prague's Old Town and is the point of contact for customers from the Czech Republic with European and German concerns. EUTOP’s headquarters are in Munich, where company management, corporate services and administrative units reside. Our offices and meeting rooms, equipped with the latest technology, are frequently used for meetings with clients.